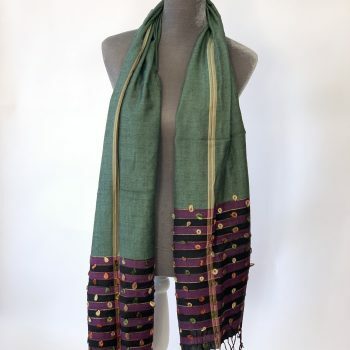 My wonderful connection in Chiang Mai for incredible scarves from India made my day when he showed me these fun cotton & cashmere colour-blocked scarves. 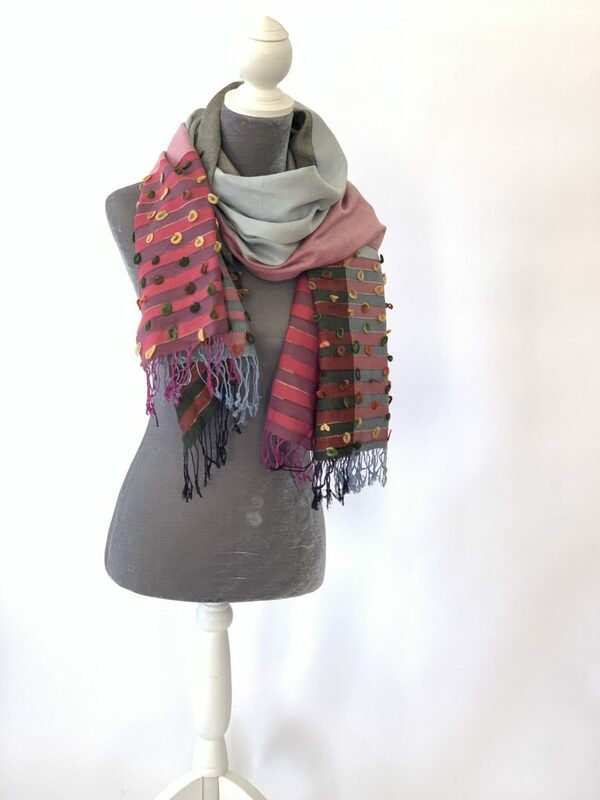 Lovely and soft, cotton with just a touch of cashmere makes for a very luxurious feeling scarf. 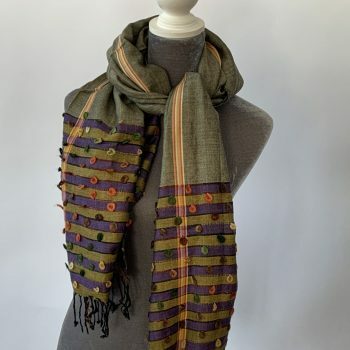 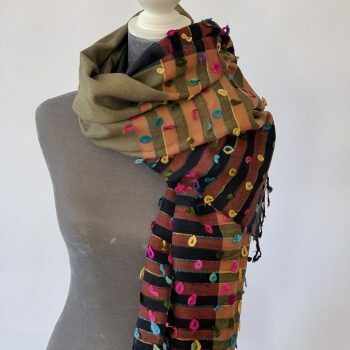 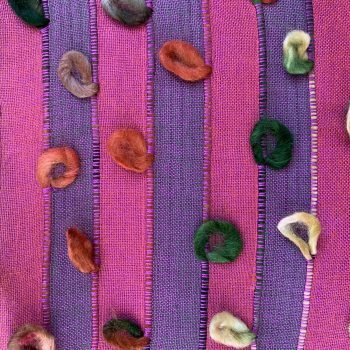 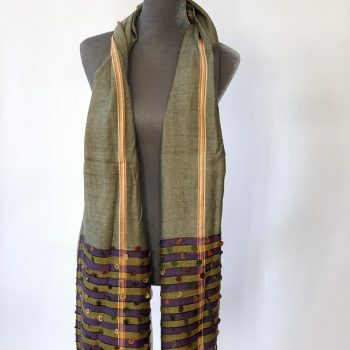 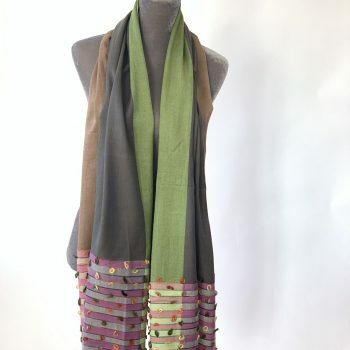 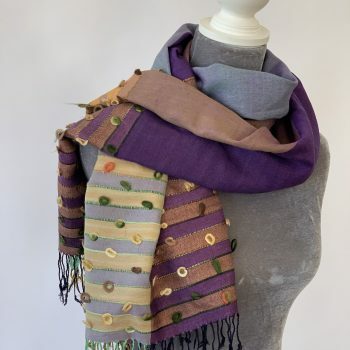 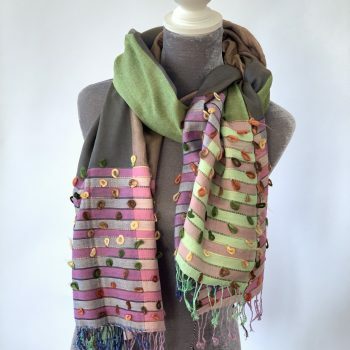 The design includes funky knots of threads giving these scarves an unexpected twist. 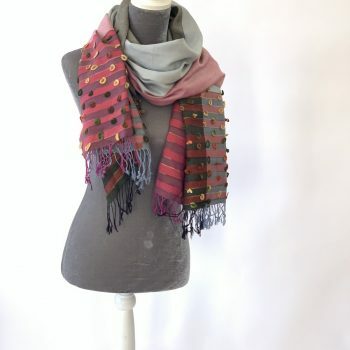 I love how versatile these scarves are depending on how you tie them. 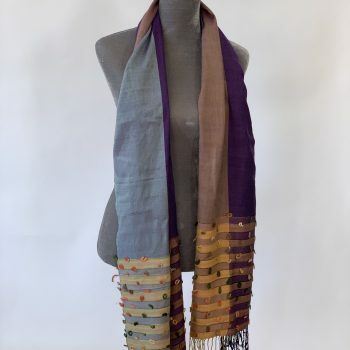 You can choose to show the interesting knots one day and just by tying the scarf a little differently play them down the next. 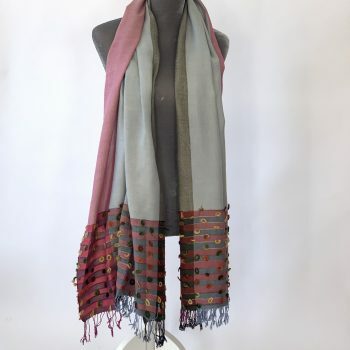 Each one of these cotton & cashmere colour-blocked scarves is a different colour combination. 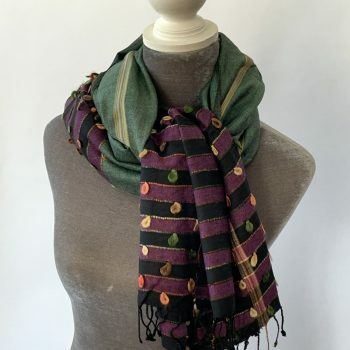 6 only.